Spring has sprung! Okay, maybe not fully, but a couple of weeks ago, we had 60° and 70° days that really felt like spring. We were working outside, the kids were playing outside longer and it was a great glimpse into what is to come. With that being said, it is a new season for me to decorate. Not that I need an excuse, but a new season always makes me excited to change things up around the house. A few months ago, I finally had room to bring my mother’s hutch into our home. My mom bought the hutch from an estate sale when we were growing up and stripped all the paint off of it for days and days. She didn’t want it in her bedroom anymore and asked if I would like it. I was so excited. Not only have I wanted an old hutch in our home, but this one has meaning behind it and I am so happy to finally have it. 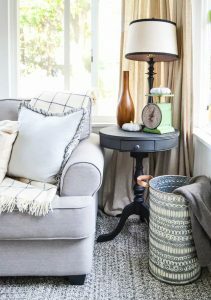 Spring Home Decor is a breath of fresh air (literally) after the winter months. We had a very mild winter this year, but when the warmer days start creeping in, I always like a lighter and brighter feel in our home. I want all the windows wide open, the candles burning and new recipes cooking in the kitchen. 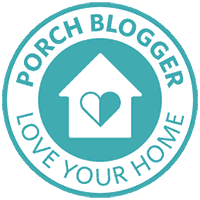 Today, I am collaborating with Meg from Green With Decor and my other blog friends to bring you lots of green decor to get you ready for spring. You will find all of their posts at the bottom of this one. When I first shared the new hutch on the blog, I showed how to decorate shelves quickly and inexpensively. I used pieces I already had, but I also set out on a thrift store hunt to find more pieces (make sure to follow along with me on Instagram and Facebook to get behind-the-scene looks into these hunts). 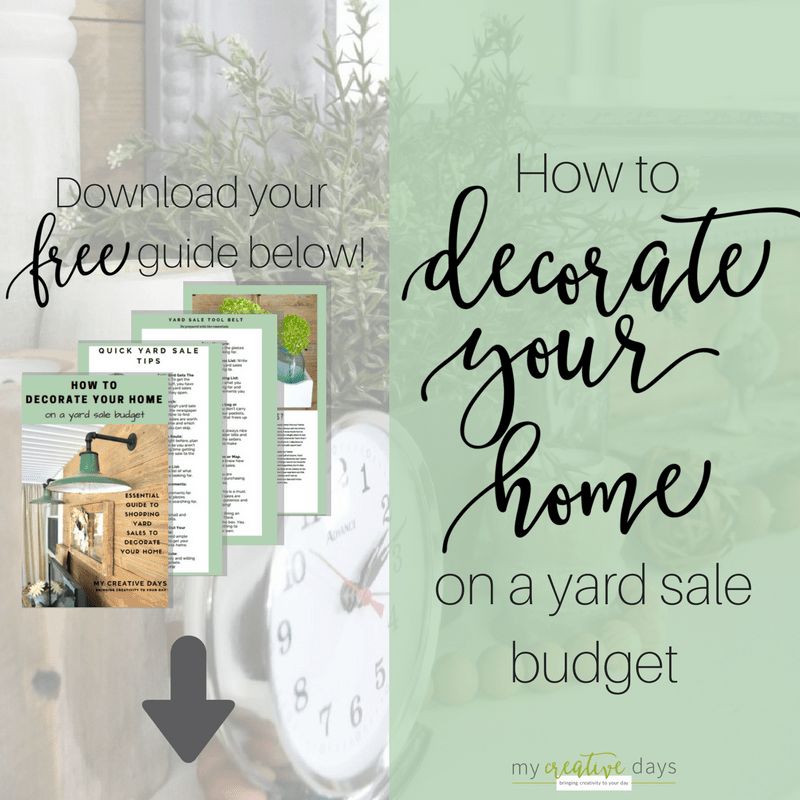 In my winter hutch post, I shared how much it cost me to decorate it. I heard you all loud and clear when you told me you loved that I put the prices on the pieces so I did that again in this post. 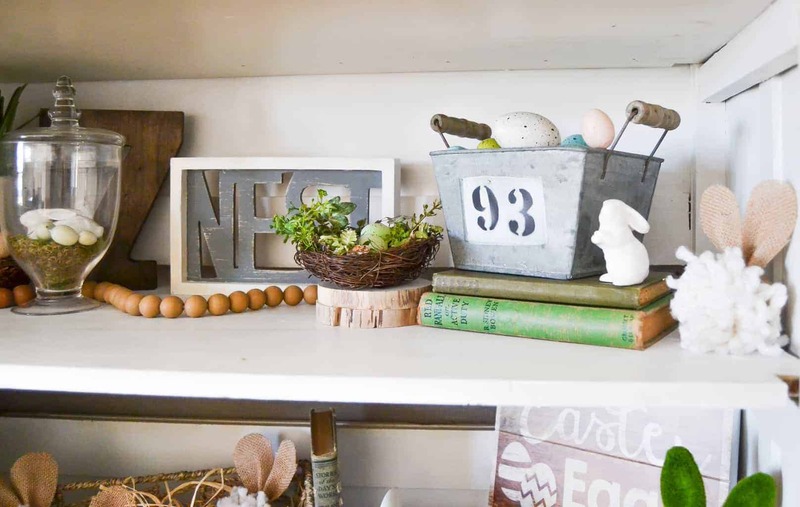 For this spring home decor post, I used things I already had. 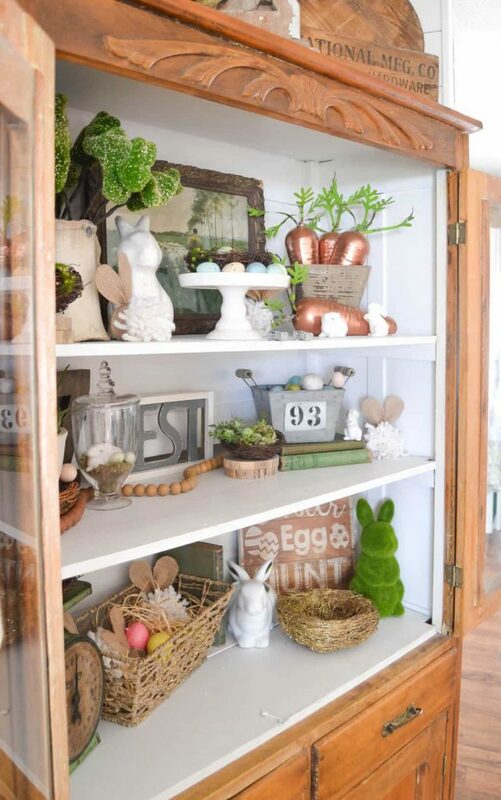 I brought out the spring and Easter bins and used what I had in there to decorate the hutch. Most of the pieces are things I found on clearance last year and of course yard sale and thrift store finds. 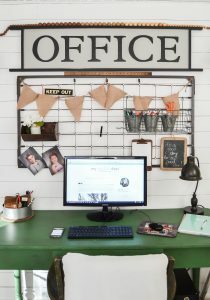 Let’s get to the spring home decor goodness! This tour is all about green – my favorite color! 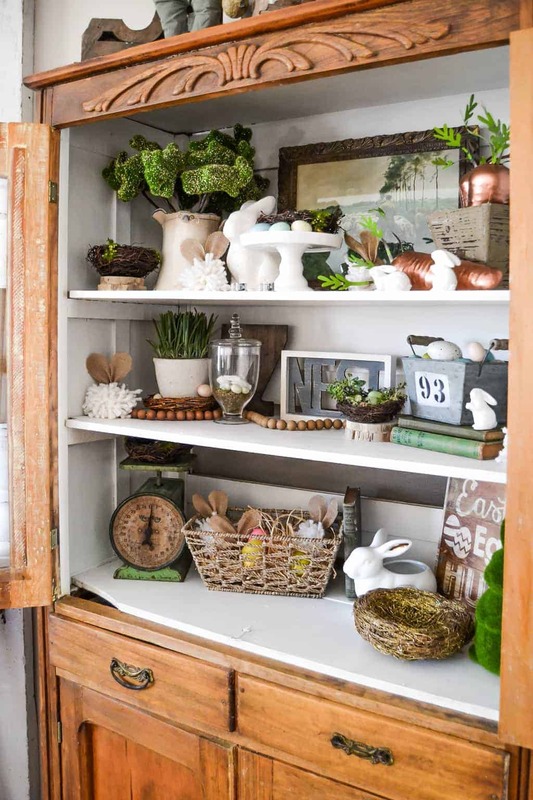 Adding green pieces to the hutch was easy because I am drawn to the color anyway and most of my spring and Easter decor have green incorporated into them. 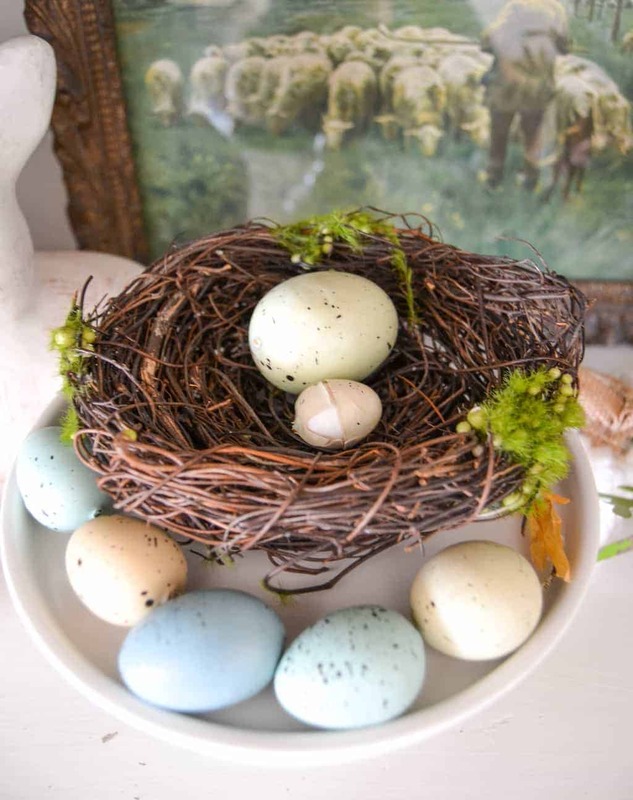 One of my favorite things to add around the house in spring, are nests. I pick them up whenever I see them. They are great on their own, in a jar or under a glass dome. I put them everywhere. I made the “burlap bunnies” from the pom-poms I made for the winter hutch decor and bunny napkin rings I got on clearance. I pushed the pom-pom in the napkin ring and they instantly became bunnies with fluffy white tails. I love it when things come together like that. I bought the green bunnies on sticks at Pier One on clearance years ago . The metal carrots were a yard sale find. They were bright orange so I spray painted them copper last year. Nests and speckled eggs. I am telling you, you don’t need anything else for spring! I brought more green to the hutch with a couple of old books, a picture I recently scored at a thrift store (I want to find out more about this picture), and my favorite green scale. 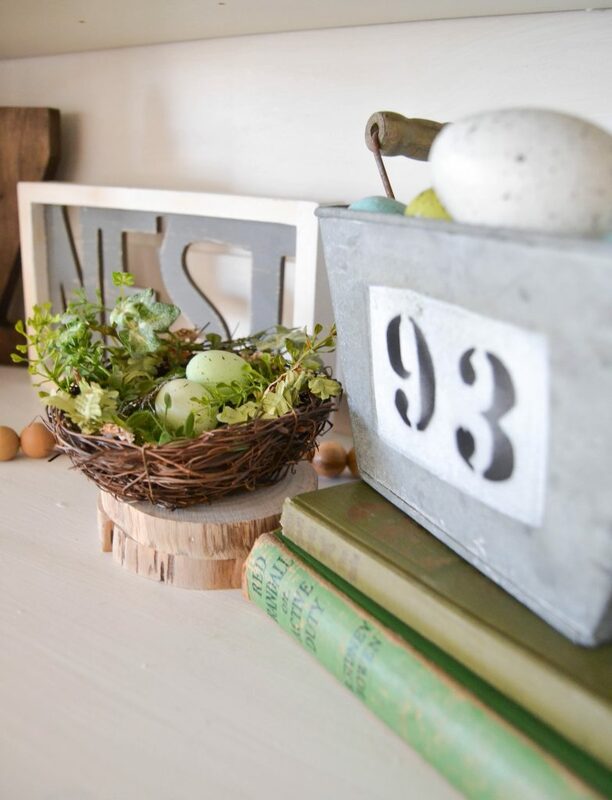 The “Nest” sign was something I picked up when I was thrifting to decorate the hutch a few months ago. I painted it and now, it is a perfect addition to the spring home decor hutch. 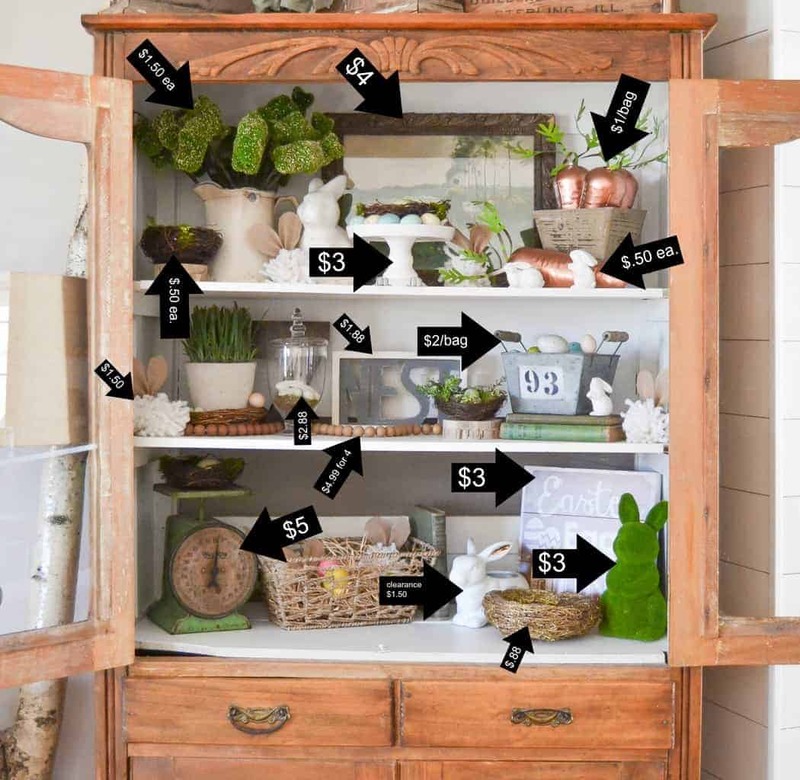 Here is a run down of what I spent on some of the pieces in the spring home decor hutch. Are you ready for spring? Do you decorate a lot for the season or more for the Easter holiday? 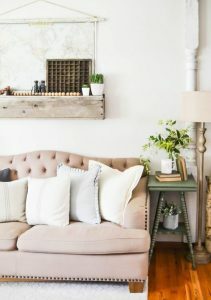 If you loved this Spring Home Decor post, make sure to check out all of my friends’ posts for more inspiration! 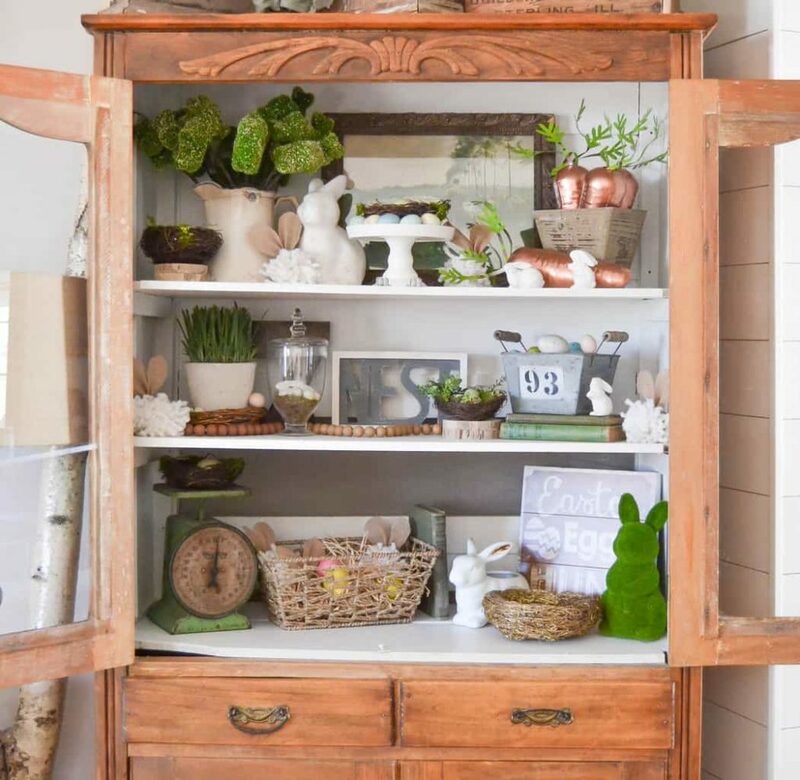 This hutch is gorgeous…your mom’s hard work paid off. You have decorated and styled it beautifully! 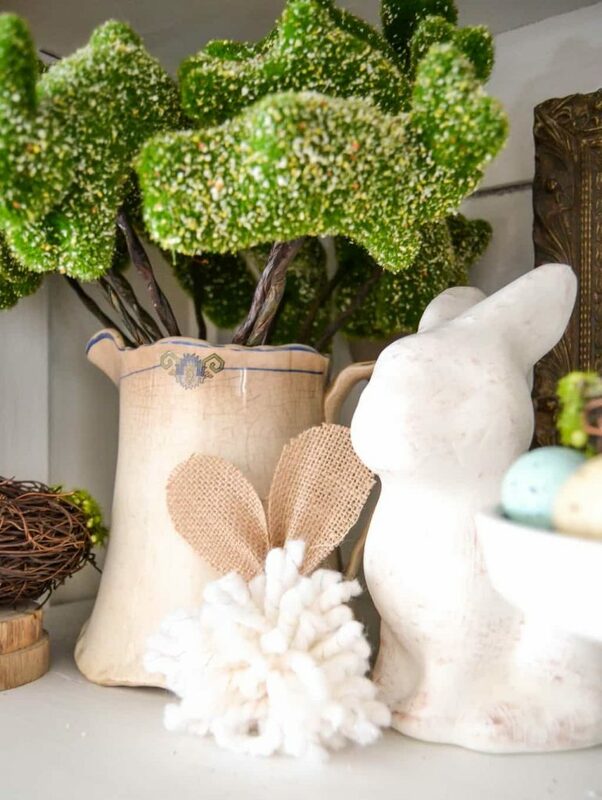 We love all of your touches of green and the promise of Spring to come! 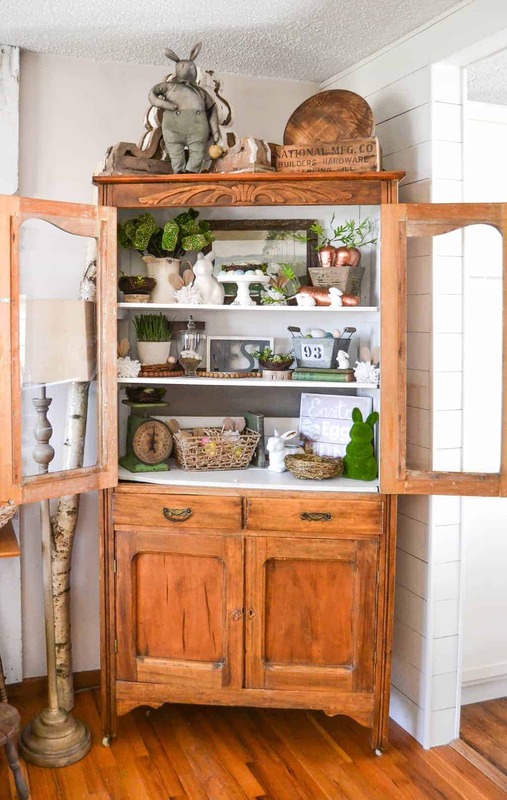 Such a beautiful hutch and I love the story behind it! Those little moss bunnies on sticks – ADORABLE! Great, great find. 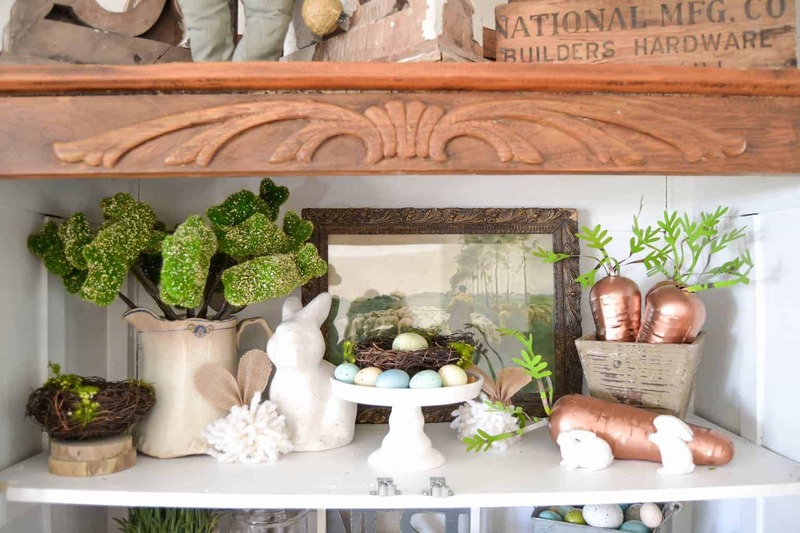 Everything ties together wonderfully and I love that this display will take you right into the end of April. Fantastic job! 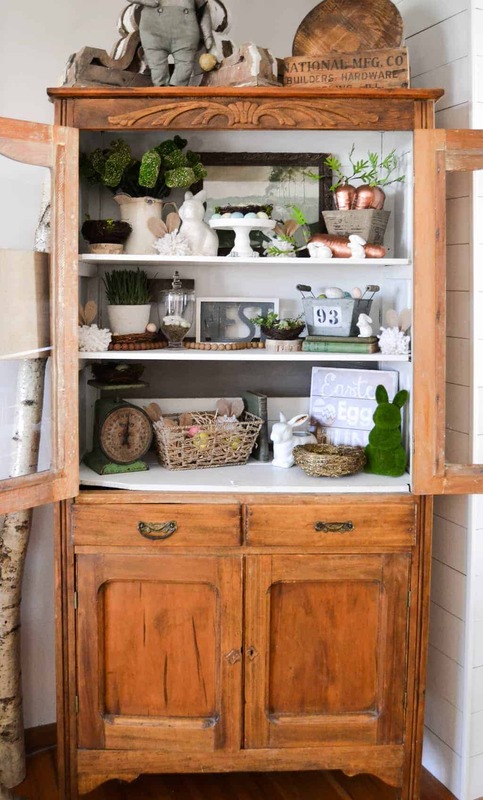 This is so lovely – I’m seriously swooning over that hutch – the wood is gorgeous! And inside is the perfect springy feel. I’m ready for warmer days and more light, too! The hutch is amazing! So happy my mother gave it to me! Thank you! 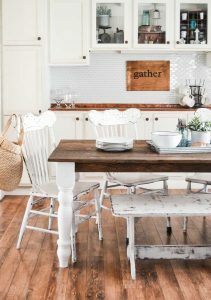 Love your hutch; I too am a thrifty shopper and keep a list of most of my purchases/locations in a journal and more recently in a Pinterest folder. A journal is a fun idea for purchases! This hutch looks amazing, Lindsay! You have collected so many awesome pieces to display. And I love how you shared the prices for each piece! First off that hutch is gorgeous!! 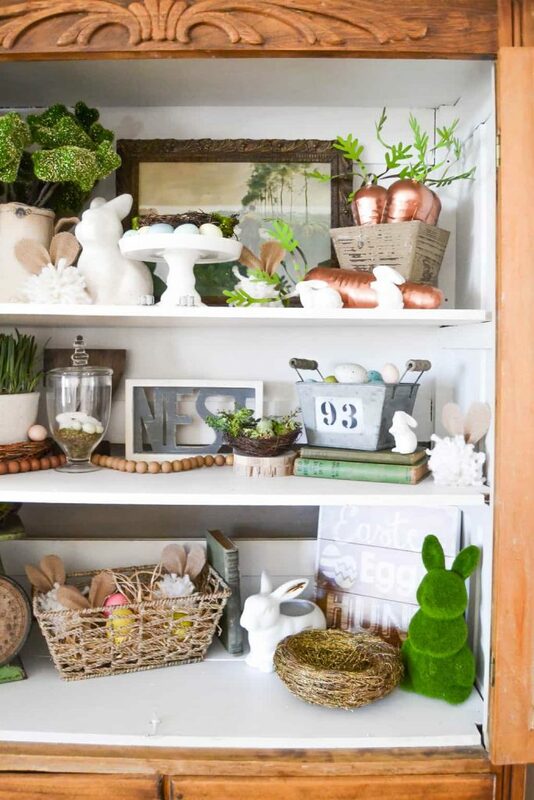 Second I love all the green/spring decor you’ve added to it! Those moss bunnies are adorable! Oh my gosh, I love it!! How special it used to be your mom’s. All the touches of green are so perfect for spring!